OMNI® Helium Compressors integrate Sumitomo Marathon® Cryopumps with other cryopump systems to provide OEM and end user with new possibilities in system performance, value and support. 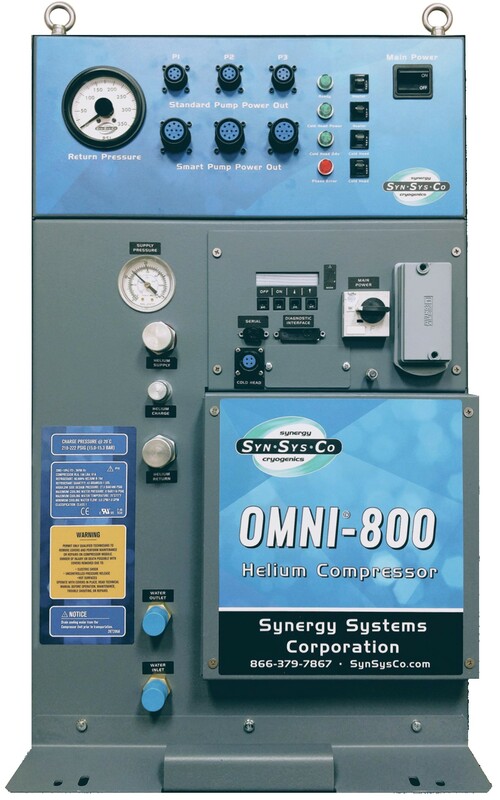 For end users, OMNI® Helium Compressors are excellent replacement units for legacy helium compressors in coating, 200mm semiconductor and a variety of other industrial and R&D applications. OMNI® Helium Compressors drive Sumitomo Marathon® Cryopumps, CTI CryoTorr®, CTI OnBoard® and Trillium CryoPlex® Cryopumps on the same tool at the same time. OMNI® compressors drive multiple cryogenic pumps, made by different manufacturers, at the same time on the same tool. OMNI® compressors drive standard pumps and auto-regen pumps at the same time. OMNI® compressors have the electrical components, communication components, and helium supply components to simultaneously operate cryogenic pumps of different manufacturers — either as a singular group by manufacturer, or by mixing cryogenic pumps of multiple manufacturers on the same application. OMNI® compressors are available in air-cooled and water-cooled versions.